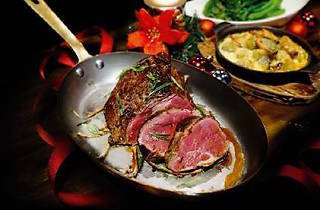 Instead of gathering under mistletoe, huddle around Bedrock Bar and Grill's chateaubriand for two ($218). 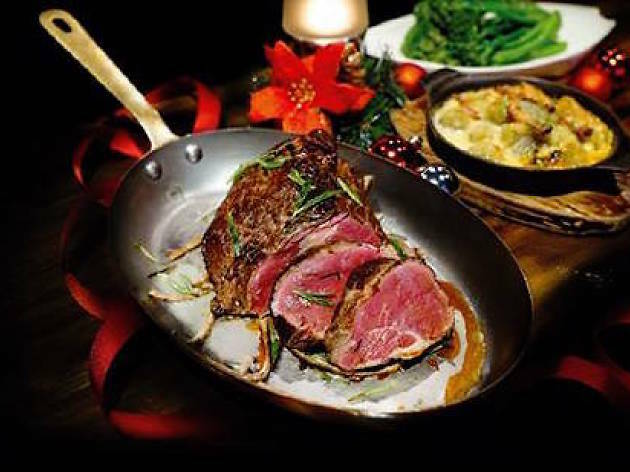 The thick cut of tenderloin is served with brocollini, blue cheese-flavoured sweet potatoes, and two glasses of Veuve Clicquot Brut to clink to the holidays. If you prefer to keep your meat to yourself (no shame in that), the restaurant also serves up surf and turf fillet steak ($128) with crab meat, asparagus and bearnaise sauce, which also comes with a glass of Veuve.